Lock in a great price for Covadonga Hostel – rated 9.1 by recent guests! Our host Andres was very friendly and helpful. 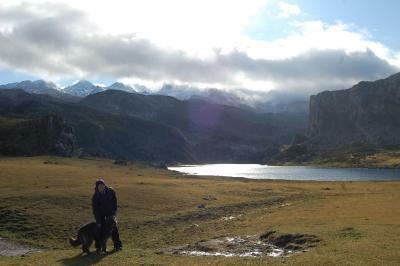 He helped us plan our intenrary around the picos and made our stay such a great one. The host is incredible. Very good communication and very friendly. His suggestions on what to see were spot on and he even gave me a lift to the nearest bus stop for me to take the bus up the mountains as well as arranging a taxi for me when I had to leave early in the morning before the busses opperate. 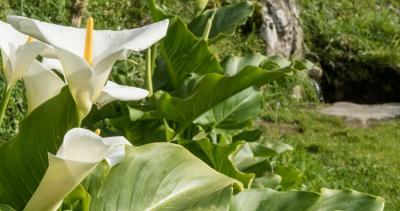 The facilities are great and clean and you really feel the small village friendliness being there. 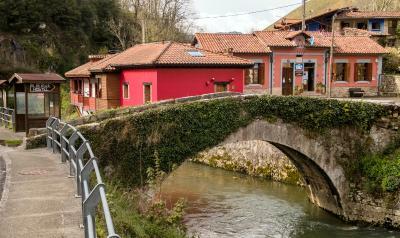 Great place to stay to see the Picos. Andres is a really very nice host! 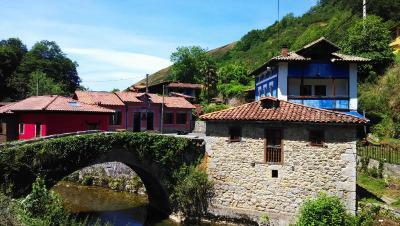 The place was perfect for us, just before getting on our 4-day-track through the picos. We really enjoyed our time Covadonga Hostel. The hostel is really cosy and very clean. Moreover, the hostel warden, Andres, is very kind and helpful! 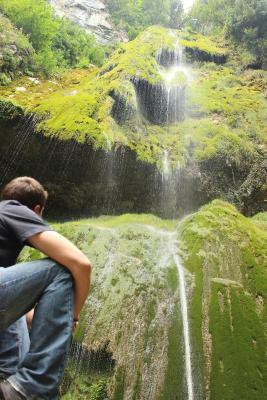 He gave us a lot of tips what to do in Picos National Park. 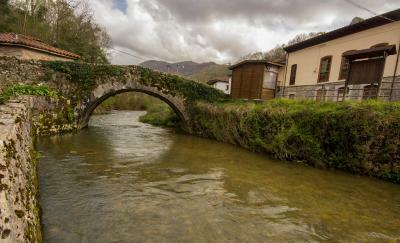 The albuerge is located in the nature and close to Cangas the Onis and Picos de Europa National Park. Andres was an excellent host and really went out of his way to make sure I had a great time. He picked me up from Cangas the Onis nearby, gave me recommendations for nearby hiking trails, and even drove out to pick me up when I was walking back to the hostel in the rain! The owner of the hostel was really nice and helpfull. He booked a nice kayak trip for us. The location is good, close to the lakes. Nice atmosphere around the hostel. Enough space in the dorm for everybody. Showers etc where clean. Really nice that we could cook our own dinner there. 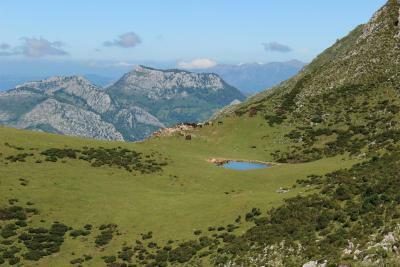 Great location for hiking the Covadonga area and amazing staff! Clean and well kept, definitely recommend for and an excellent value. The owner of the hostel is very kind and friendly. 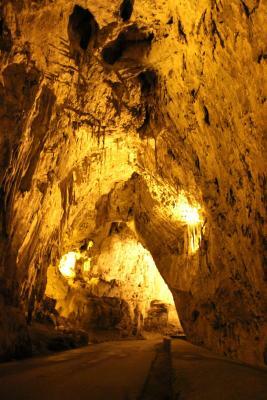 The room is comfortable, although can be a bit cold and is set in a beautiful area. 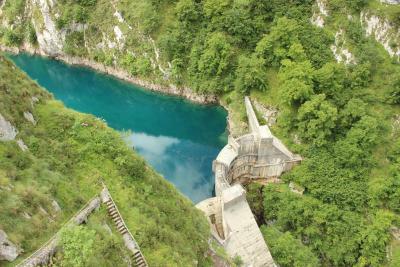 It is located very close to Covadonga, which can be reached by car in about 5 minutes or on foot in about 35-40 minutes. 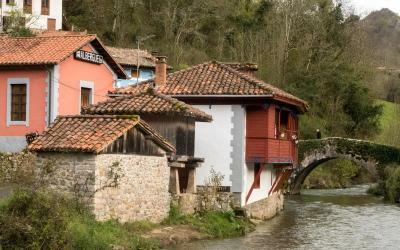 Cangas De Onis is also very close, as is a lot of other beautiful places and destinations. Andrés picked me up from the bus station as it is quite far to the hostel. He also lent me equipment for my walk the next day. A very generous and friendly guy and keeps his hostel clean. La Riera is gorgeous. I can't wait to go back! 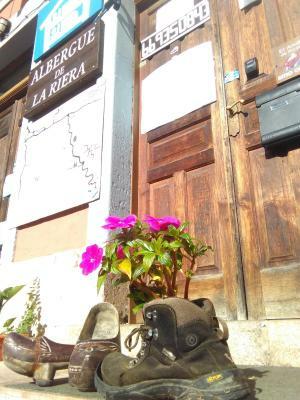 Covadonga Hostel in La Riera provides accommodations with free bikes, a terrace and a shared lounge. A tour desk can provide information on the area. Some rooms also feature a kitchen with a stovetop. Guests can take part in various activities in the surrounding areas, including skiing and cycling. 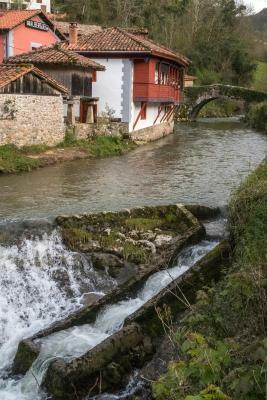 Cangas de Onís is 4.1 miles from the hostel. 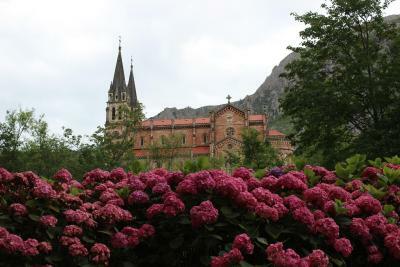 The nearest airport is Asturias Airport, 70 miles from Covadonga Hostel. This property is also rated for the best value in La Riera! Guests are getting more for their money when compared to other properties in this city. 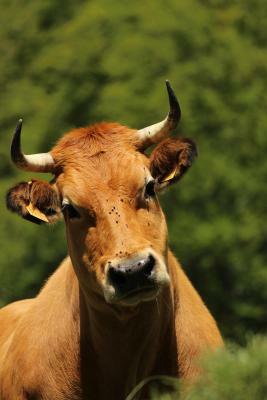 When would you like to stay at Covadonga Hostel? This bed in dormitory features a kitchenette, kitchenware and dining area. 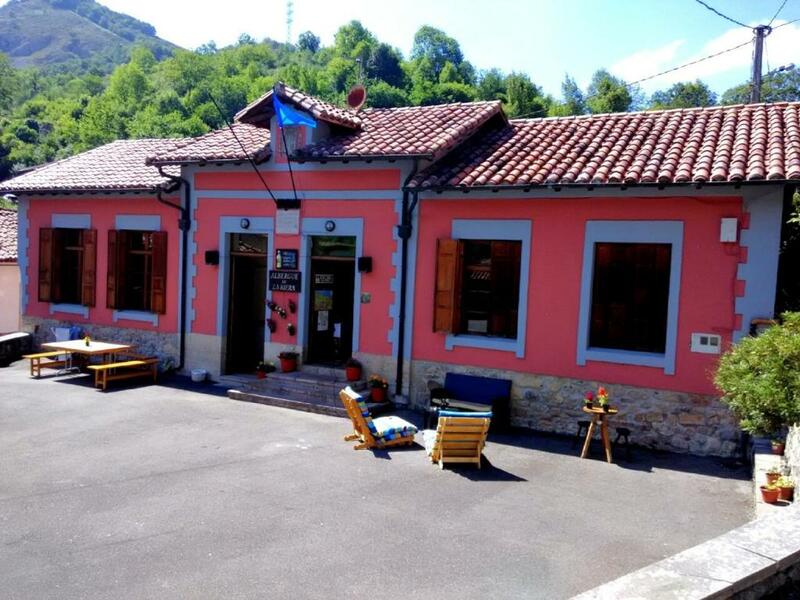 House Rules Covadonga Hostel takes special requests – add in the next step! Please inform Covadonga Hostel of your expected arrival time in advance. You can use the Special Requests box when booking, or contact the property directly using the contact details in your confirmation. Just be aware that there isn't anywhere to stock up on groceries in La Riera, and there's only really one restaurant. Public transport options are very limited so plan accordingly! It's a quiet small town so you definately need a car if you want to go somewhere. The beds where a bit squeeky. If you don't have a car, it's a little difficult to get there but there is a bus to get hostel and also trail way to the hostel and which was very pretty way. Owner was very helpful and kind. He gave me some tips and took care about me :) Room and kitchen were very clean and useful. Slightly warm room at night and average bed comfort. My only issue was that the hostel does not have very good connection to public transport. Buses only pass by every couple of hours which can make things a bit more difficult if you don't have a car, but that really isn't something that I can fault the hostel for. I can think of nothing that I wasn't happy about. Everything about my experience here was fantastic. My friend and I arrived a few hours before check-in time, but were given our beds immediately and warmly welcomed. There were bicycles for us to use, free of charge. The kitchen was well supplied, clean, and never crowded. The bathroom was clean and comfortable, with hot water and a good showerhead. The beds were large enough (I'm quite tall), with good mattresses. The man who runs the hostel speaks fluent English, but was willing to only speak it with us when we initiated it, as he recognized we were trying to practice Spanish. More importantly however, in my opinion, he recommended skipping the popular and touristy hikes and instead suggested one that was incredible throughout and concluded at an overlook that was one of the most beautiful I've ever seen. I've done a lot of hiking in my life, and this view left me speechless and made me come close to crying. I was and still am so grateful for his advice, as that was the highpoint of my entire trip to Asturias.